... mesmerizing ... [This book review can't do justice to the] years of research by Dobrow ... Some of the book’s interpretative chapters do grow repetitive, however, and one or two points are over-emphasized... No matter. 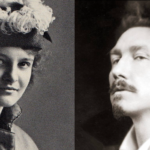 If you’re interested in 'America’s greatest poet,' intellectual property issues or juicy behind-the-scenes literary history, After Emily is your book. In 1898, 12 years after the death of Emily Dickinson, an intrepid woman named Mabel Loomis Todd (1856-1932) stashed a huge trove of Dickinson manuscripts, including 655 poems, into a camphorwood chest. That chest stayed locked for more than 30 years, when Mabel Todd instructed her daughter, Millicent (1880-1968), to open it. How Mrs. Todd came to possess that pile of Dickinson material is a story rivaling any old-fashioned Victorian bodice-ripper. 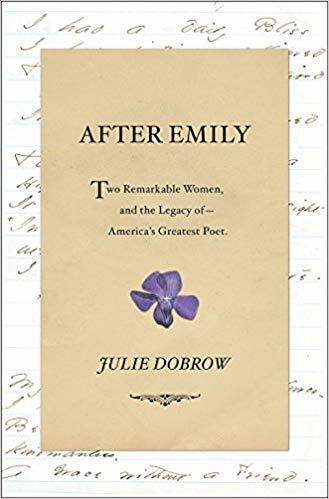 And happily it’s the subject of Julie Dobrow’s long overdue study, 'After Emily: Two Remarkable Women and the Legacy of America’s Greatest Poet.”' ... At the end of her book, Ms. Dobrow wonders what Mabel and Millicent would think of her good work. Doubtless, they’d be very pleased. Scholarly arguments about how Mabel Loomis Todd and her daughter, Millicent Todd Bingham, handled Emily Dickinson’s work during their years of editing and compiling the nearly 1800 poems discovered after Dickinson’s death will continue. But thanks to Tufts University professor Dobrow’s astonishing new research, readers gain a better understanding of their efforts ... Hopefully, Dobrow’s chronicle will draw readers back to Dickinson, whom Dobrow rightly names as America’s greatest poet. What did you think of After Emily?